“Analytics 4D” is the technological basis for a profound comprehension of the mechanisms behind pathogenic processes. We make things measurable that cannot be measured today: Our aim is to promote the development of analytical technologies by combining our expertise on chemistry, biology, physics and informatics. Research at ISAS concentrates on providing methods for a multi-parameter analysis of biological materials; we want to improve the prevention and early diagnosis of diseases and enable faster, more precise therapies. Excellent interdisciplinary research, the training of up-and-coming scientific talent and the transfer of our findings to science, economy and the general public are our key objectives. 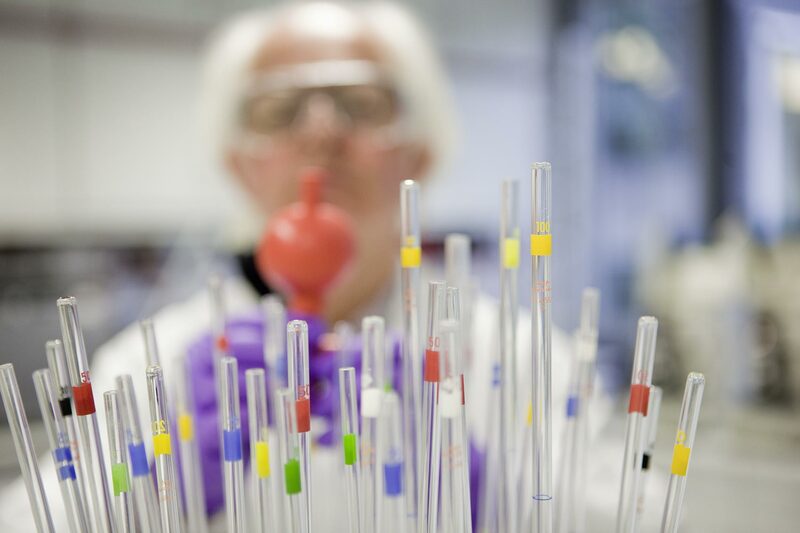 Innovative contributions are made at ISAS to solve scientific challenges in health research – from basic research through to standardising methods. We at ISAS are a decisive force in driving the development of analytical technologies. Our results enable things to be measured that cannot be measured today. We promote young scientific talent and offer an attractive scientific environment for interdisciplinary research. The great practical relevance of our research work is important to us. We transfer our findings into practical applications together with partners from science and industry. We explain the astonishing basics of our scientific work in an understandable, entertaining way.